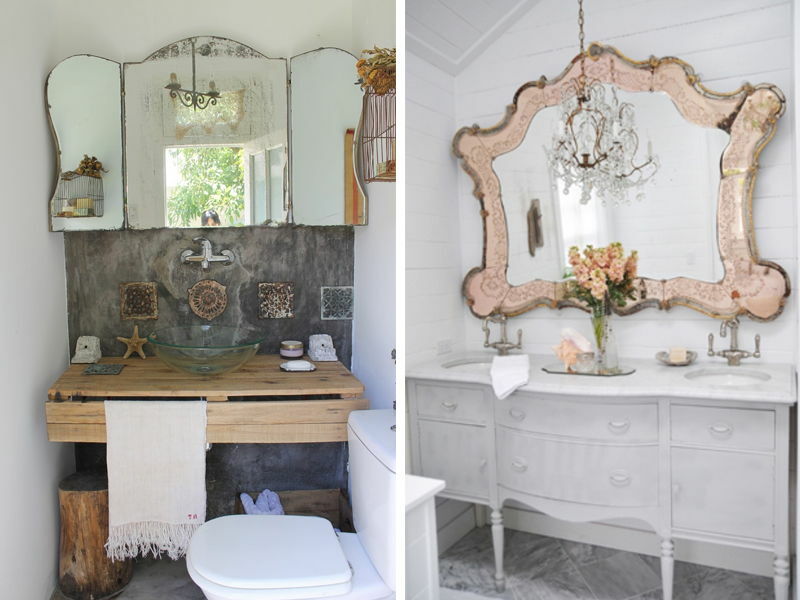 Improve your bathroom décor (and reflections) with these cool mirrors. Don’t like what you see in the bathroom mirror? 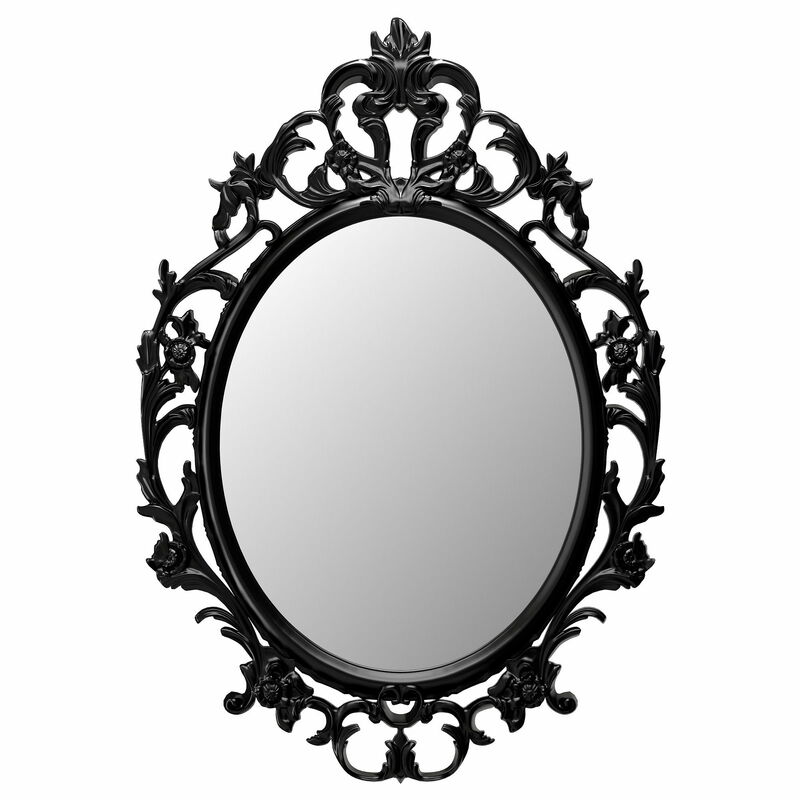 We can’t help you with that, we can however, help you improve the mirror! 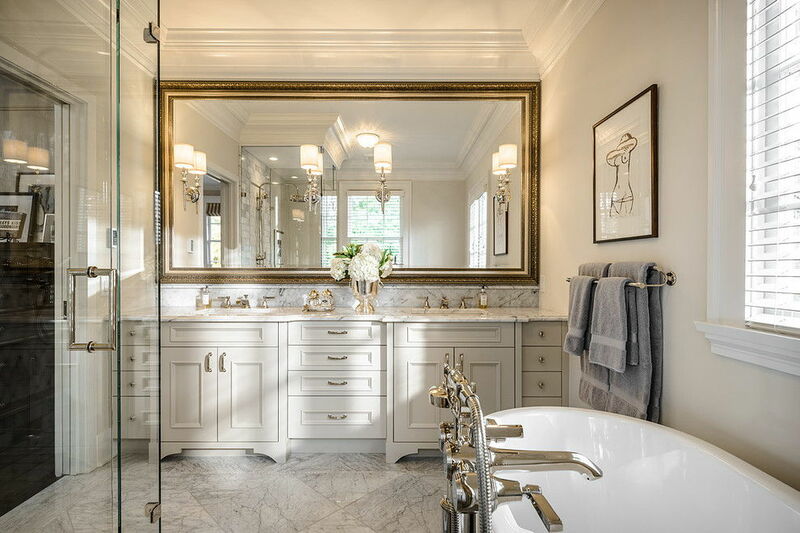 When we think of bathroom mirrors, we immediately imagine the basic mirror; a piece of reflective glass with a simple frame around it. But it’s time to add form to these functional piece. 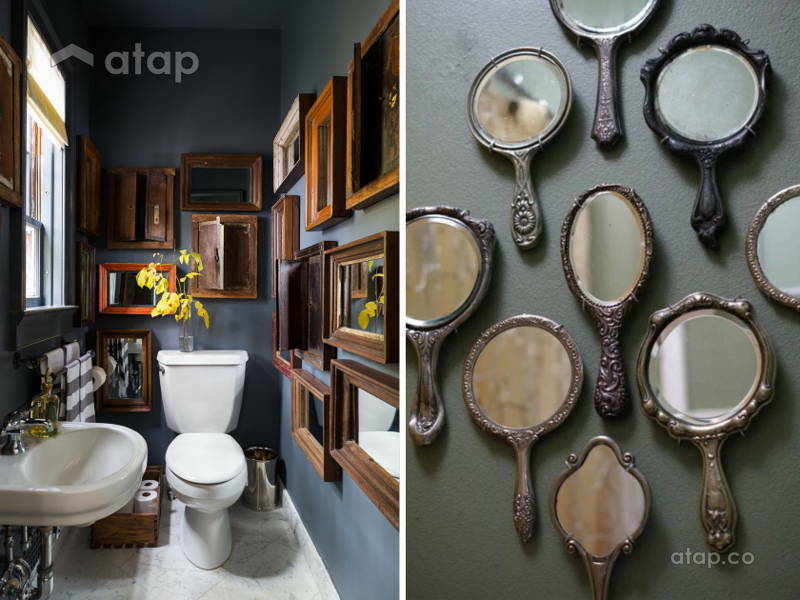 These 7 ideas will inspire you to create your very own mirror-cle in the bathroom. No, not that kind. 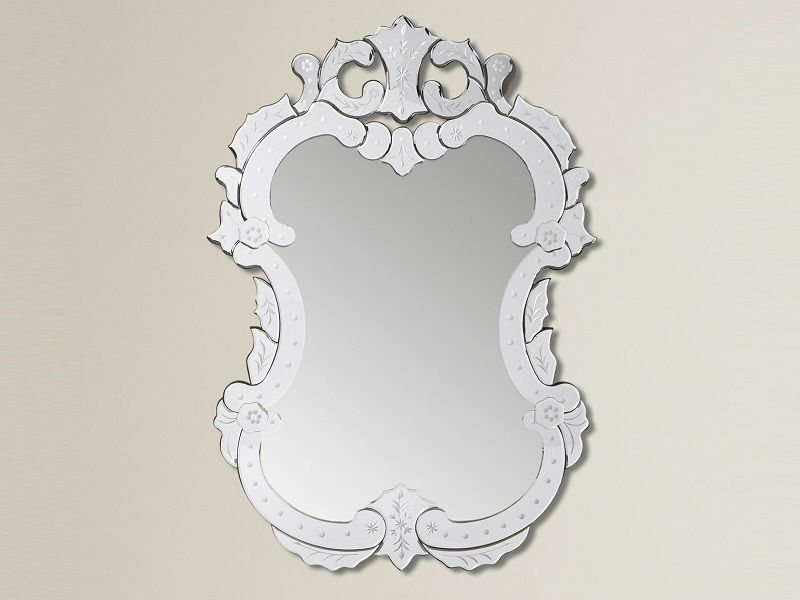 The easiest way to make your mirror stand out is to opt for an unconventional shape. Most vintage styles offer interesting shapes and intricate designs. 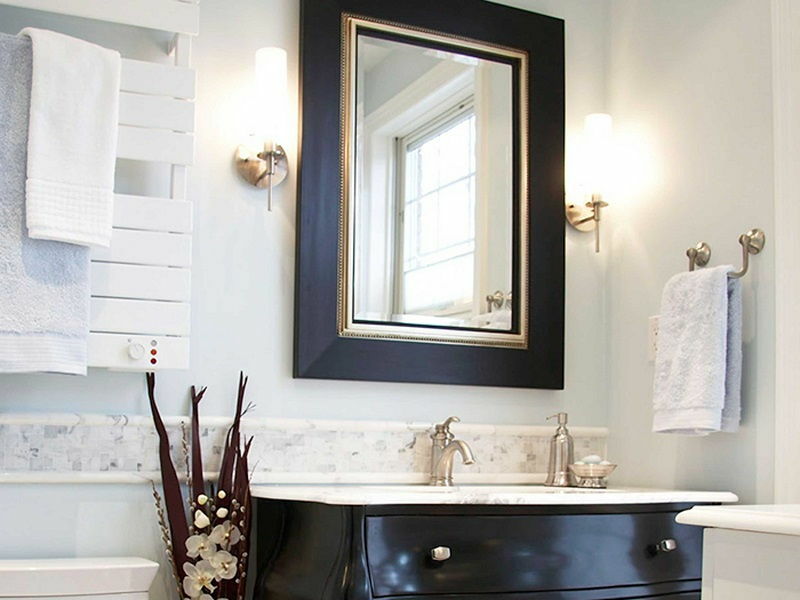 It’s the perfect way to add a statement piece to your bathroom without adding unnecessary accessories that will clutter the space. 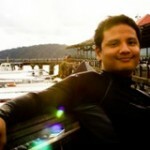 Ikea sells a gorgeous and versatile piece for RM69. 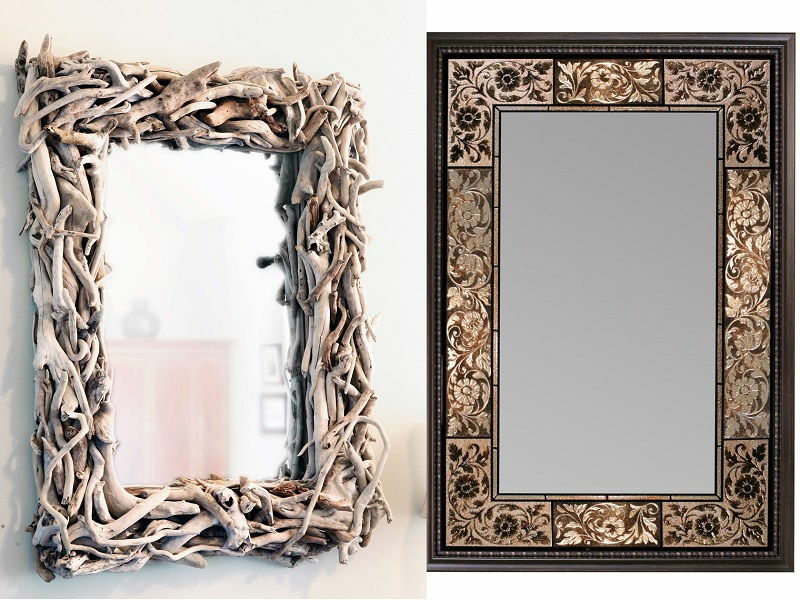 Turn your mirror into a work of art, literally, by putting a frame around it. The more unique the frame, the bigger the wow factor. 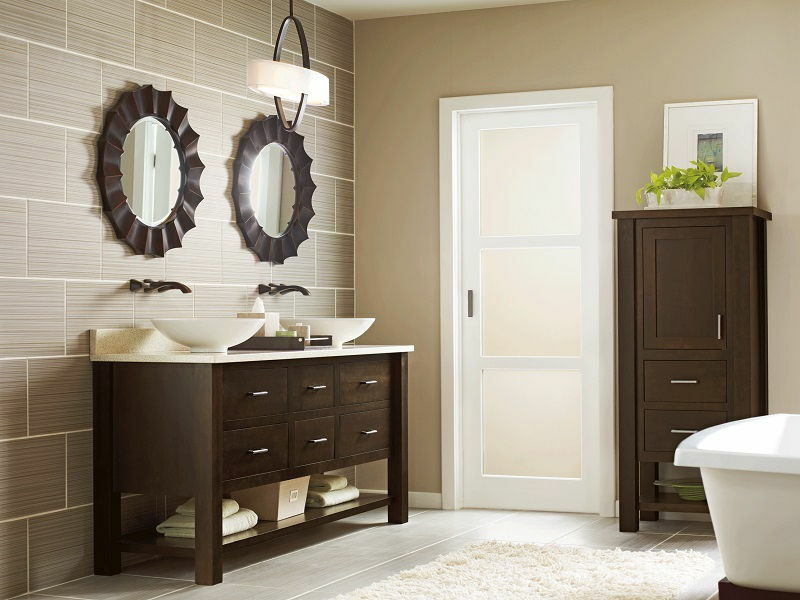 Create a look that’s twice as stunning by duplicating the mirror. 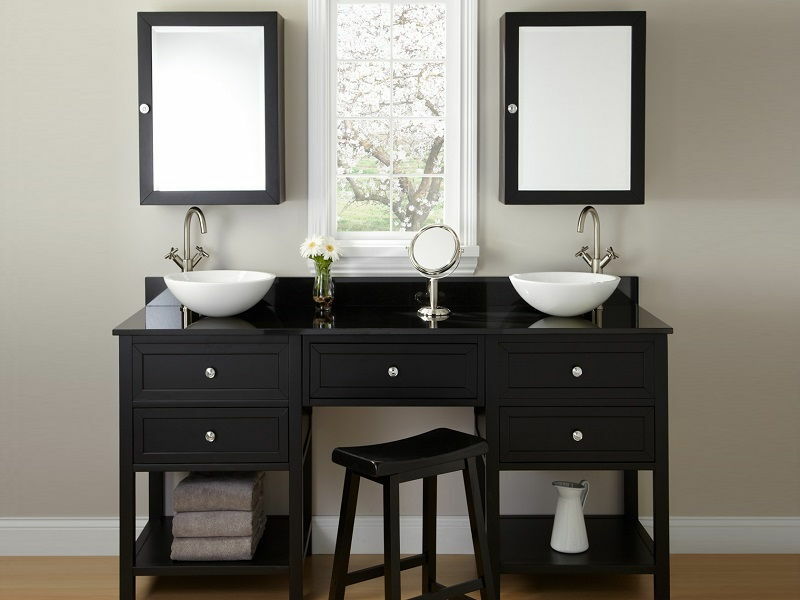 This style is usually paired with double sinks, but multiple mirrors could be used over a long single-sink counter top as an alternative to one large mirror. 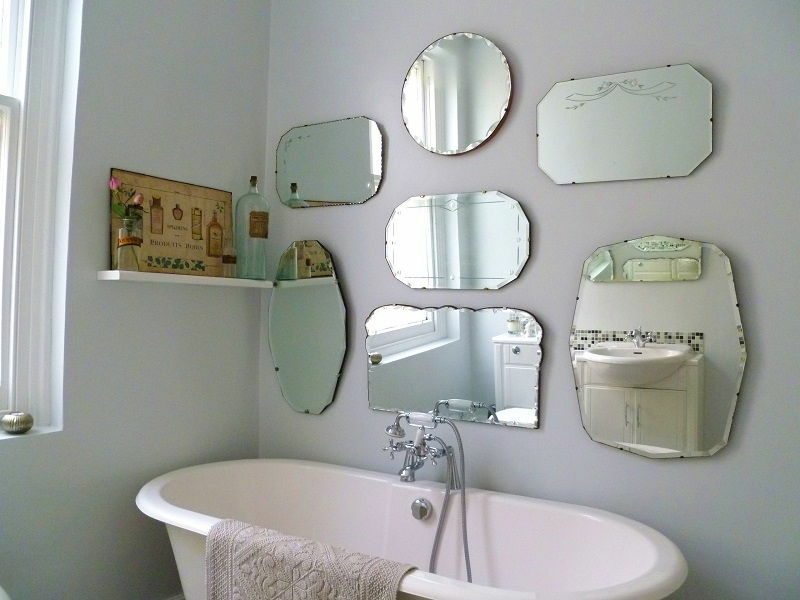 Why stop at 2 mirrors when you can have a whole wall. 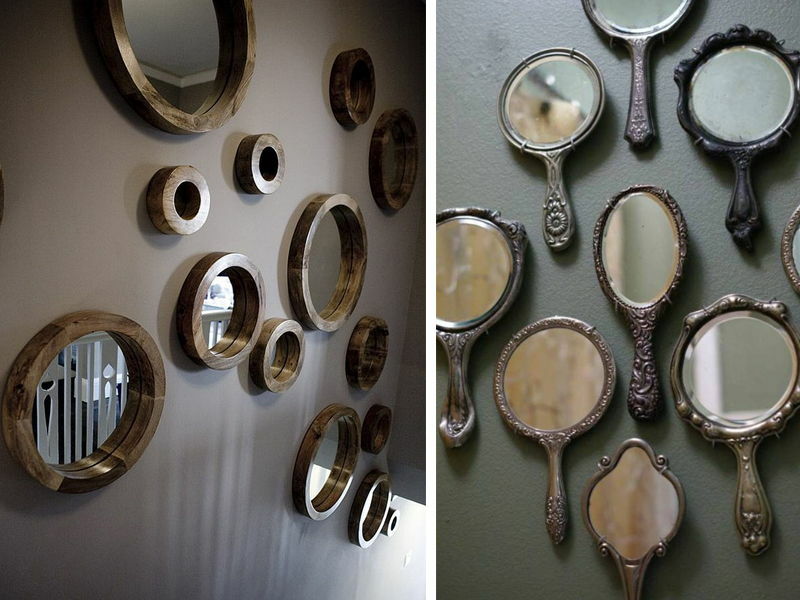 Get different sizes and/or designs of mirrors and hang them in a gallery-wall-style arrangement. Be sure to arrange the mirrors so that they complement instead of compete against one another. 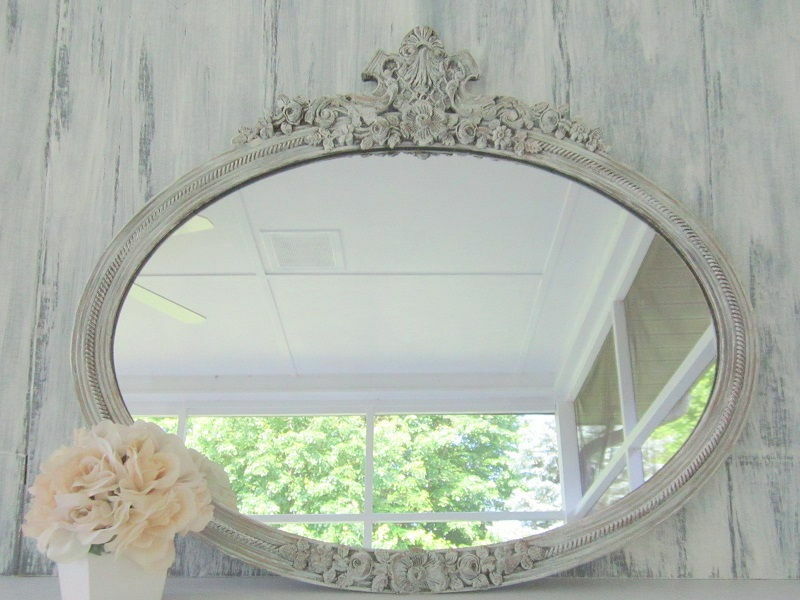 A good way to ensure that the mirrors are complementary is to choose frames of similar materials and/or colour. 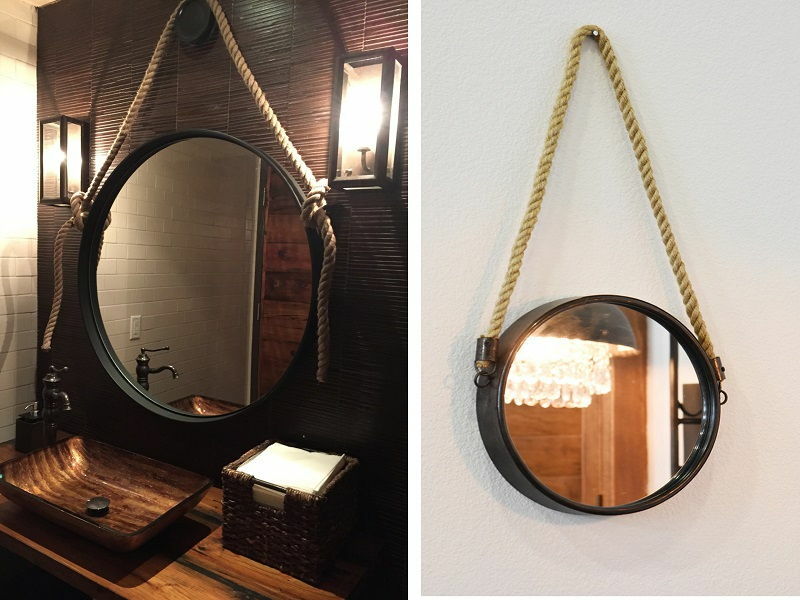 While most mirrors are hung on the wall, suspending it from a visible rope or wire is a great way to add an element of interest and rusticity. 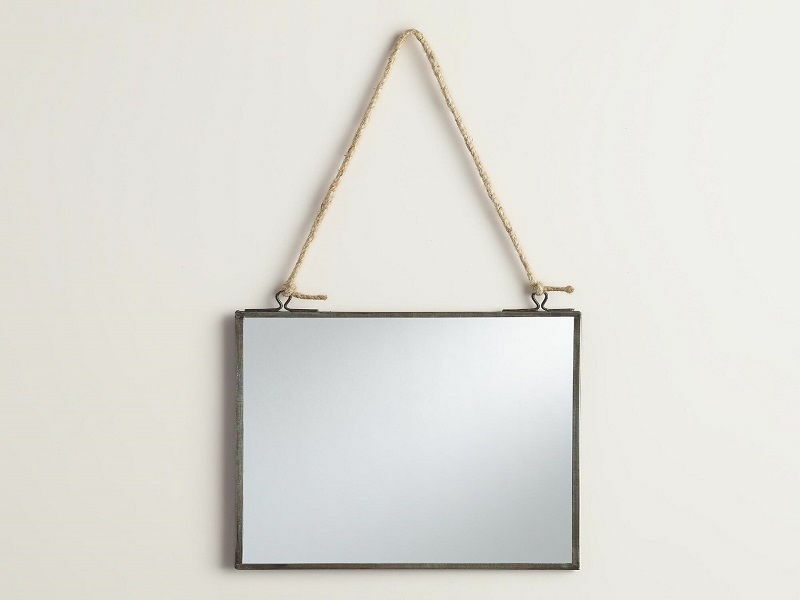 You can choose from a variety of materials to hang the mirror, such as thick ropes to create a nautical theme or wire for a more modern, industrial vibe. Just be sure that it’s secure and can withstand the weight of the mirror. It works on different mirror shapes too! 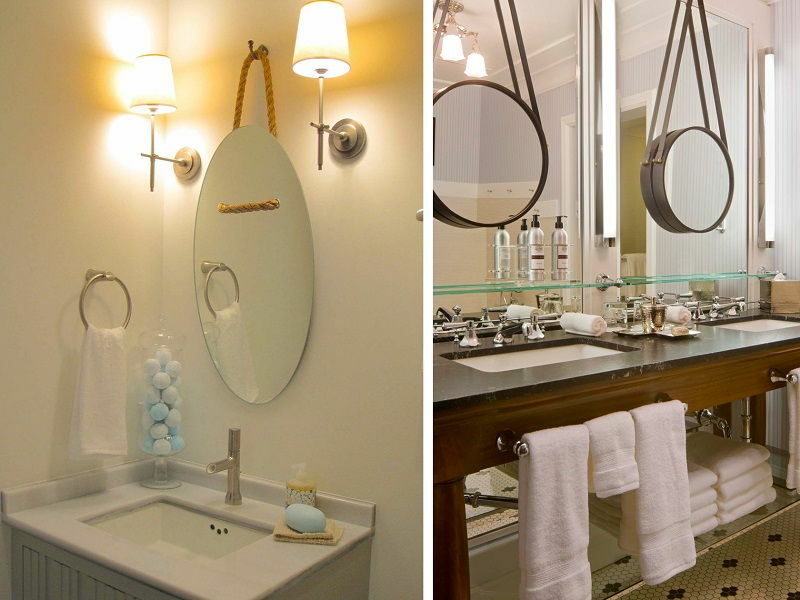 A backlight can give a glamorous update to a simple mirror. 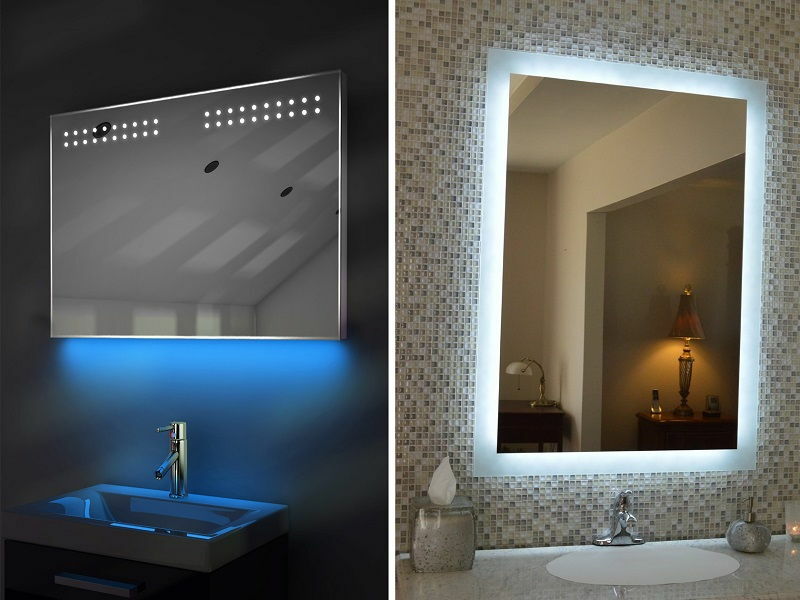 You can either buy mirrors with built-in lights or add them yourself. 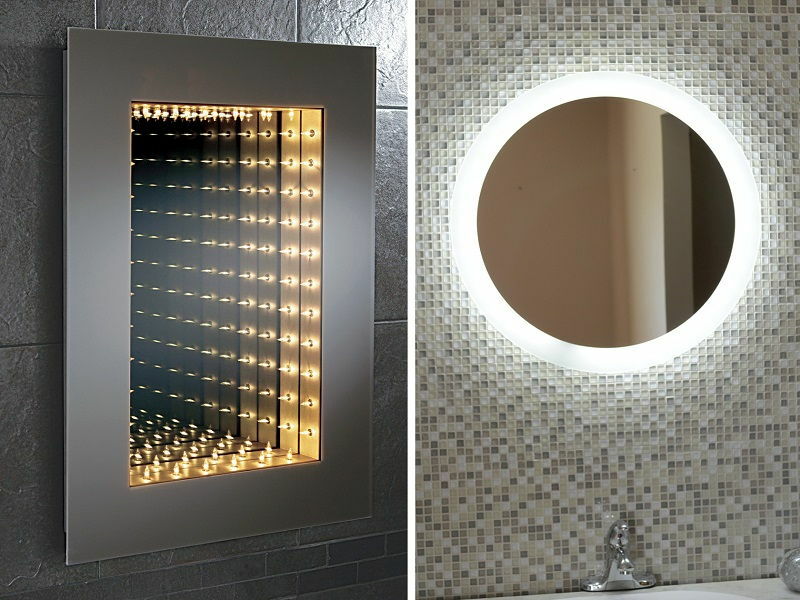 Illuminated mirrors are perfect for applying makeup and taking bathroom selfies. They’re also great for bathrooms with little natural light. Just be sure to use soft lighting instead of fluorescent bulbs. Extra-large mirrors aren’t just impressive, they also help to distribute light within a confined space. This works best if you have a large wall to play with. 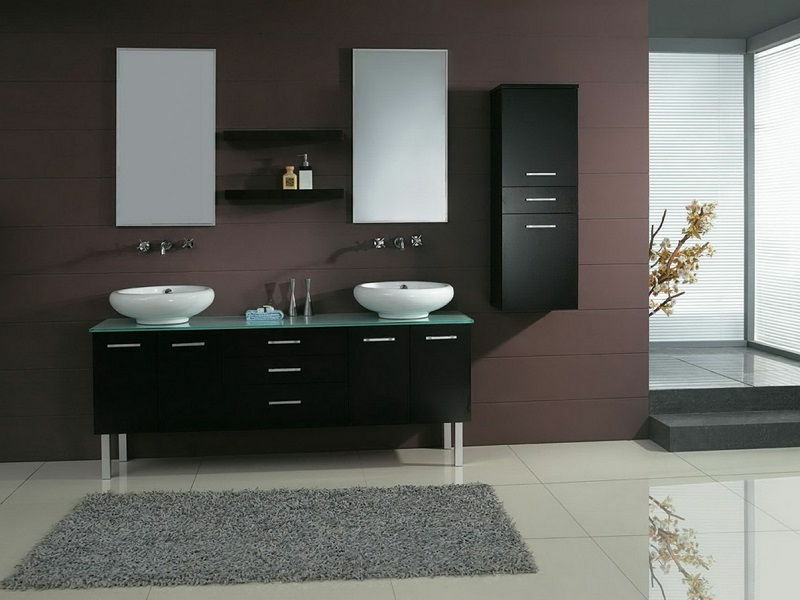 Alternatively, you can install mirrors on your cabinets to create the same affect. 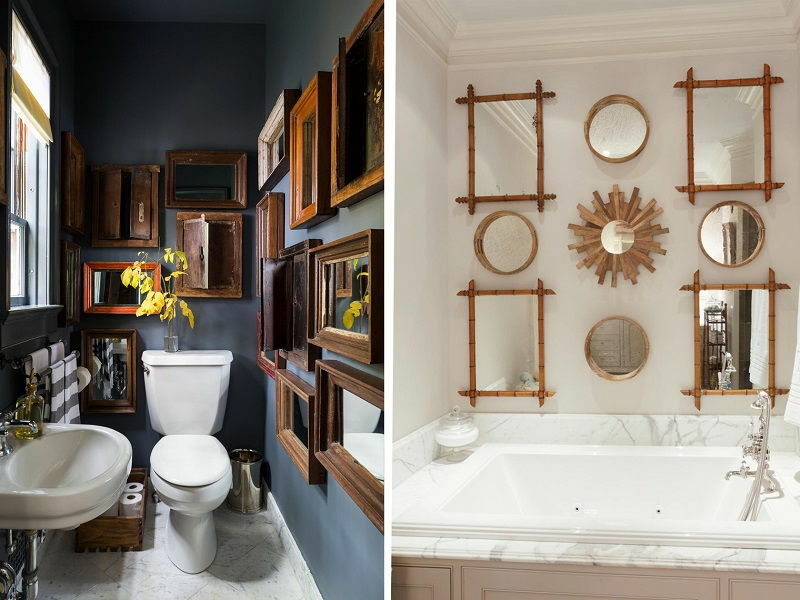 Large mirrors don’t just work for bigger bathrooms. 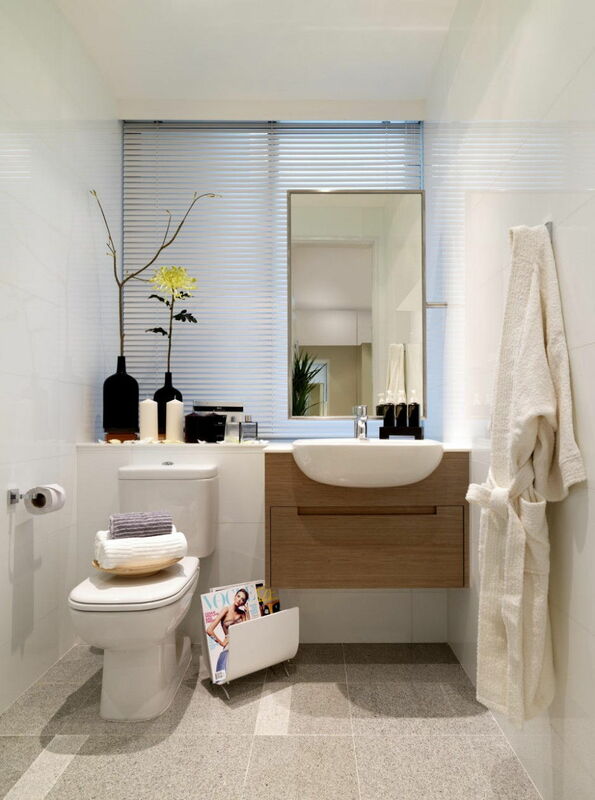 Try a relatively large mirror (not too supersized) in a small bathroom to create an illusion of a bigger bathroom.